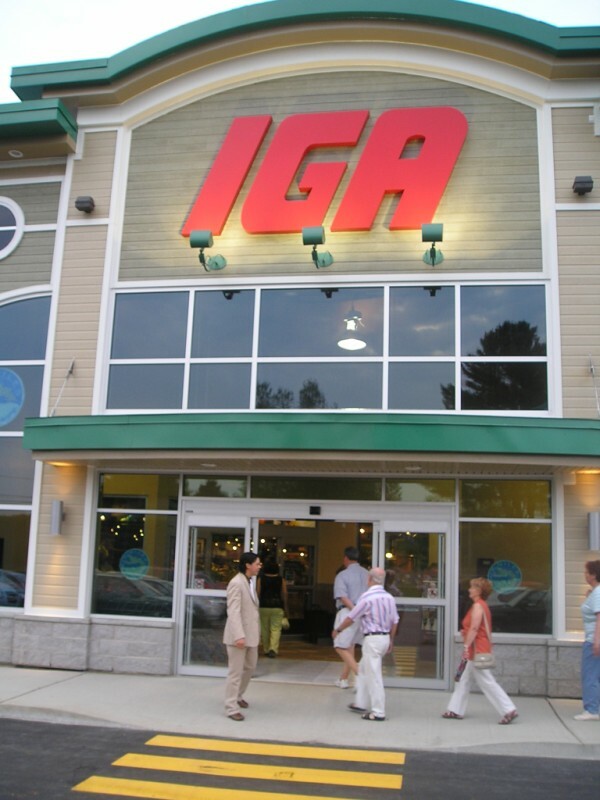 Residents of Knowlton will no longer have to drive to Cowansville to get the best selection of fresh foods anymore as the brand new and improved IGA opened it's doors this week in Knowlton across the street from it's old location. The grand opening was weld on Wednesday evening and by all indications it is a welcome addition to Knowlton as the parking lot was jam packed for the ribbon cutting cermony. Crowds filled the store and visited the new produce section and were stunned by the vast selection that is a huge improivement over the older store which was indeed becoming rundown and lacked a variety of foods. The grand opening had Knowlton's Mayor and representatives from the Chamber of Commerce on hand to assist in the grand opening. The Gazaille family proudly invited all residents to enjoy their new store and with a cut of the ribbon they started what is surely to be a new era for Knowlton. Many new jobs have been created and Knowlton will surely benefit from having a large and complete food store in town. The evening ceremony saw hundreds of residents visiting the new store and meeting the staff of the new IGA and sampling some tasty finger foods and some lovely wines courtesy of the Gazaille family. It was a great event and surely marked good things to come for the town of Knowlton. The grand opening speech by the mayor, Richard Wisdom, was actually quite funny as he said that now the IGA was in direct competition with the Town of Lac Brome because now the Gazaille IGA had more smooth asphalt than the entire town and more fresh fish than Lake Brome! Indeed!